At the 2013 edition Art Berlin Contemporary ABC contemporary art fair in Berlin, we photographed art dealers, gallery owners and gallery assistants for the project called ABoysCgirls. ABC art fair Berlin brings together a number of individual positions in contemporary art presented by selected, invited galleries. 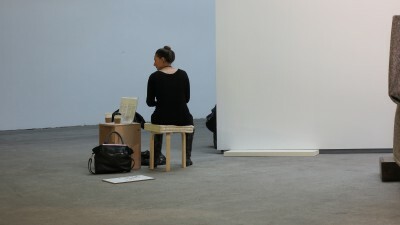 The aim of the ABC art fair is promoting Berlin as an art market and bringing its protagonists together. Fees for fairs, also in Berlin, continue to rise. On average approximately ⅔ of the annual income of galleries attending fairs is derived from these art fairs. That is a substantial amount considering the fickle nature of the art market where most (private) acquisitions are made with available disposable income. In general art fairs resemble shopping malls. Booth after booth of attention-seeking installations, paintings, drawings, sculptures, videos, photographs and art that defies classification. Hundreds, thousands of individual works of art on display. How much art can a visitor really absorb before emotional and visual fatigues set in? Twenty minutes? An hour? At which point do we simply glaze over the booths eager to sit down and rest our senses? The idea for this project originated from the remarks that ABC “ABC has a very open structure and offers clear lines” we therefor want to pose questions about the contemporary art and the market in relation to the art dealers. The idea for this project originated from posing questions about the contemporary art and the art market in relation to the art dealers. 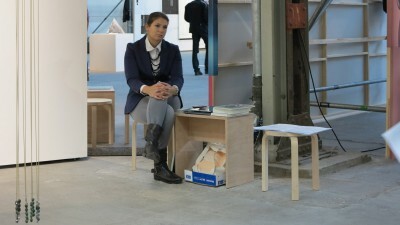 Questions like: “Does the pressure to sell at art fairs force the artist to manufacture ready-mades?” and “Do art dealers motivations align with those of the collectors’ and the artists’?” Or does the pressure to make money beyond covering the participation costs drive their curatorial choices? While at the ABC art fair in Berlin in 2013 VanGerven|VanRijnberk felt a need to comment on the uniformity of gallery position as well as at question the positions in art. Successful galleries and successful art dealers show successful artists. Good artists are artists who have already have firmly established their reputations. These artists make it clear to art dealers that their sells well and that their work is worth further enhancement by showing it in art fairs. How do art dealers presence actually enhance the art in an art fair?